The other night, my mother and I were having a conversation about tea when she mentioned the health benefits of Rosemary Tea. 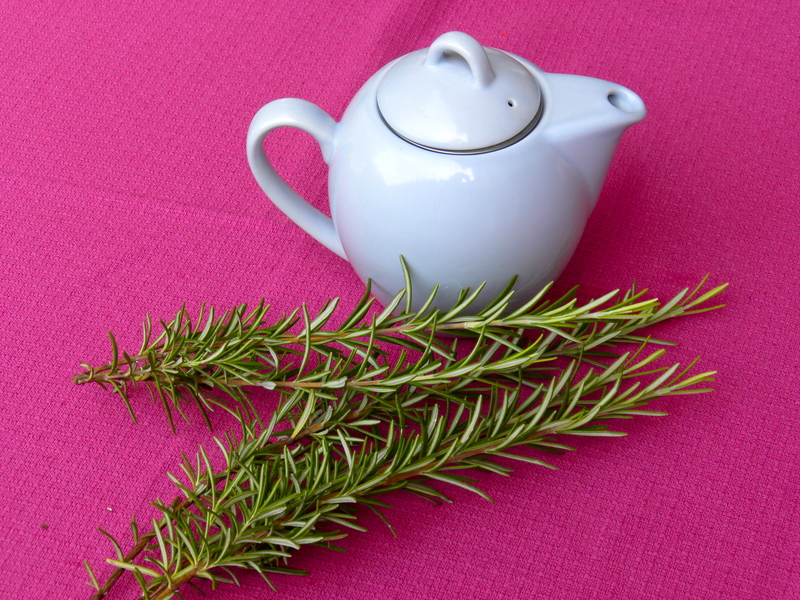 Apparently Rosemary Tea is good for congestion, indigestion, poor circulation and many other common ailments. As a great lover of both tea and rosemary I knew I had to try it. I have a big rosemary bush in my front yard so I didnt have to go far to find some rosemary leaves. If you have never tasted rosemary you should. It has a very strong smell that is fresh and vibrant, kind of like pine. Some people say it has a bit of a bitter taste but I don’t think so. I plucked a couple of branches off the bush and pulled out my adorable mini-teapot (thanks Elise!). 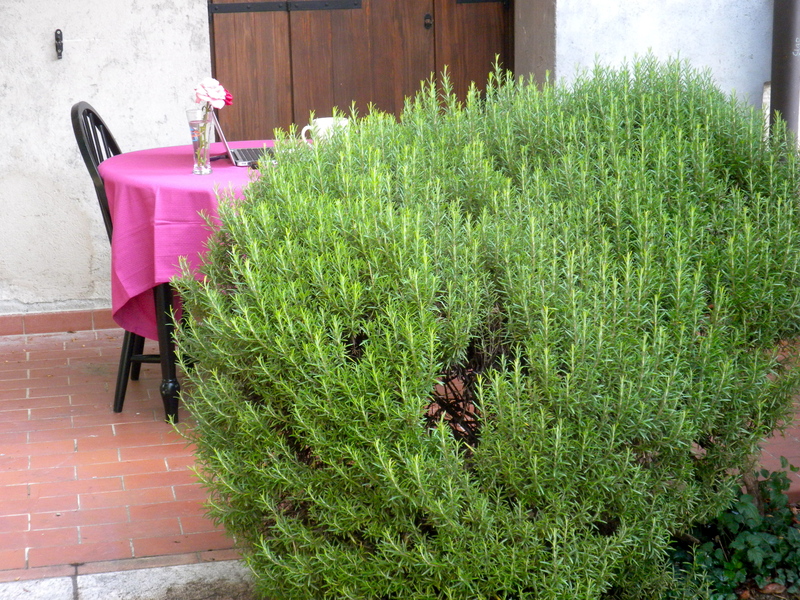 To use the leaves of the rosemary bush all you have to do is hold the branch in one hand and run the other hand down the length of it (against the growth of the leaves) to pull the leaves off and leave the stem. Then I put as many leaves in the teapot strainer as I could fit and filled the pot with boiling water. After ten minutes or so, the tea was ready. The tea itself is almost colorless, but I added a spoonful of dark honey to add a little extra kick. The tea is very mild and I don’t consider it at all bitter. When you first take a sip all you taste is honey, with a little something extra. After a second or so in your mouth, the rosemary flavor fully develops and it is wonderful. You are left with an aftertaste of rosemary that makes your mouth feel clean and satisfied. It is one of the most aromatic hot drinks I have ever made, the kind that makes you want to cradle the cup under your nose and inhale. 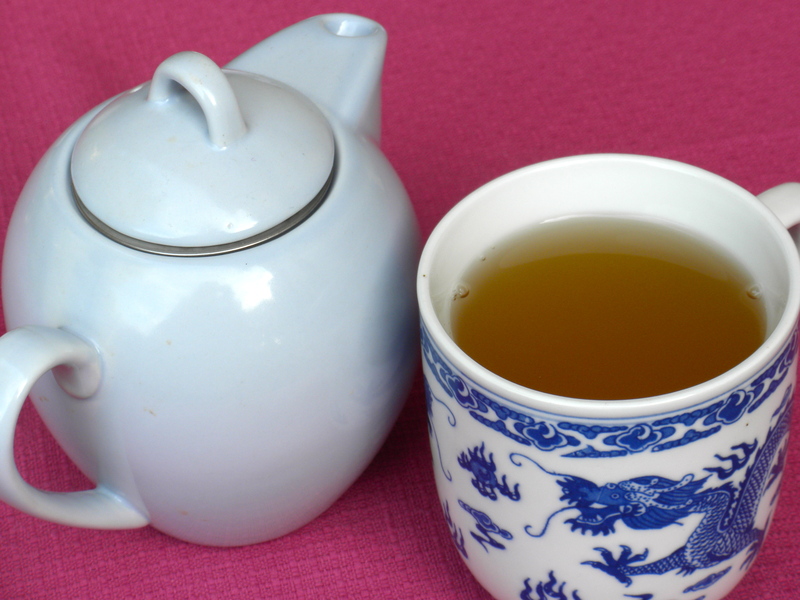 I also added some of the rosemary tea to my usual green tea and I loved it. 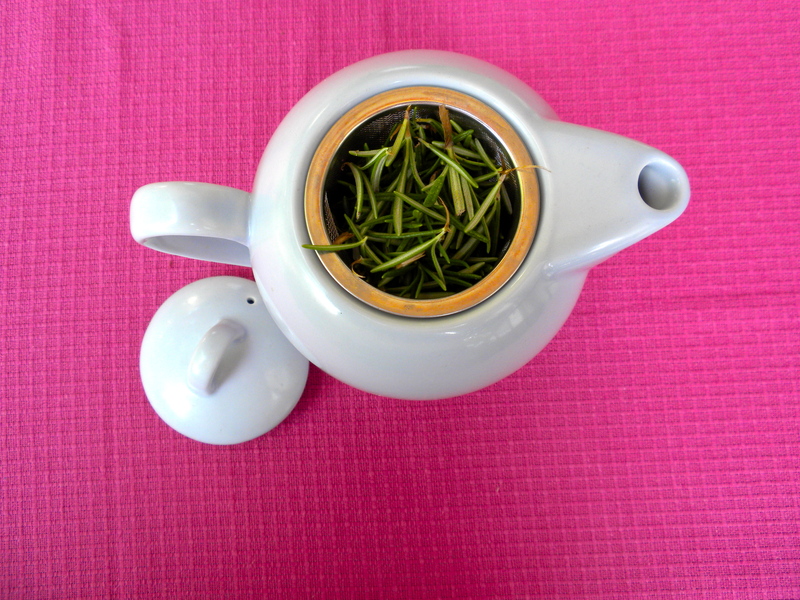 This article about the benefits of Rosemary Tea also says you make a bigger batch and bathe in it, which I will be testing out tonight! This entry was posted in Uncategorized and tagged Food, Gardening. Bookmark the permalink.